An Ivory Coast military court on Tuesday sentenced the former bodyguard of ex-president Laurent Gbagbo’s wife to 20 years in prison for a murder committed during post-electoral violence in 2010-2011. Gbagbo himself is now awaiting trial in The Hague, and is the first former head of state to be prosecuted by the International Criminal Court, the world’s only permanent war crimes tribunal. Gbagbo’s refusal to concede defeat after presidential polls in 2010 sparked a bloody stand-off in the world’s largest cocoa grower in which some 3,000 people died according to the United Nations. He was eventually toppled in April 2011 by current President Alassane Ouattara’s forces backed by the UN and France. Gbagbo was transferred to the ICC’s detention unit in The Hague in November 2011 but Simone Gbagbo, the former first lady, was thrown in jail at home. Since then, the Ivorian government has repeatedly refused to hand Simone Gbagbo, dubbed the nation’s “Iron Lady”, over to the ICC, where she too is wanted for crimes against humanity. 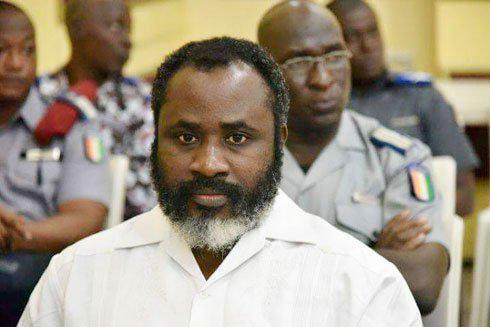 “The court declares Seka Yapo guilty of wilful homicide… and sentences him to 20 years in military detention,” judge Tahirou Dembele said, adding that the former bodyguard was also stripped of his rank.The military prosecutor had initially sought a life sentence for Yapo over the killing in April 2011 of the driver of Joel N’Guessan, former human rights minister and current ruling party spokesman. Another former official, Jean-Noel Abehi, who used to run the largest security forces’ camp in the capital Abidjan, was also sentenced to five years for desertion.